Fix your Chronic Pain with Regenerative Medicine Sports Injuries Treatments. Comprehensive Prolotherapy uses your own stem cells. 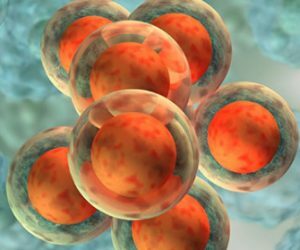 It is possible to use adult stem cells to restore lost damaged or aging cells and effectively regenerate tissue in the body. When we administer this kind of Prolotherapy, we are typically trying to resolve cartilage concerns or severe osteoarthritis and degeneration. Like PRP, it is administered into the joint or back or neck along with comprehensive Prolotherapy to address all problems. Bone marrow is extracted either from the iliac crest (hip bone) or the tibia (shin bone) and after processing, it is directly injected into the patient in the area of concern. A mini liposuction is also performed and fat cells are taken out and stem cells removed from them and then injected into the area of concern. The benefit of bone marrow and adipose tissue Stem Cells Prolotherapy is that it is taken from the patient and immediately injected back into the patient with PRP, which is known to make it work even better. No additions, no growing, no processing in a petri dish, just your own cells back into your body in order to increase cartilage repair and cell growth. This is a true regenerative process rather than repair as there is no scarring. We also administer Dextrose Prolotherapy to strengthen the joint further and treat the surrounding ligaments and tendons. PRP or Platelet Rich Plasma Prolotherapy is very useful and effective in cases of severe labral and meniscal (knee) tears, chronic osteoarthritis of the knee and even avascular necrosis of the hip can be treated with PRP. PRP or Platelet Rich Plasma involves drawing some of the patient’s own blood and then processing it and using the growth factors in this blood to start the healing and eventual pain relief. We often use it when a patient is not responding quite as well as we had hoped with dextrose prolotherapy and/or has a more severe injury. We occasionally use Human Growth Hormone (HGH) or Testosterone in very small amounts along with regular Prolotherapy solutions, in knee joints and hip joints and other joints to help with cartilage regeneration based on recent studies and personal communications. Prolotherapy is a method of regenerative injection treatment designed to stimulate healing. Prolotherapy is used for acute or chronic musculoskeletal pain due to ligament and tendon laxity. It is an excellent treatment for low back and neck pain, chronic strains and sprains, tennis and golfer’s elbow, whiplash injuries, knee injuries, shoulder injuries, ankles strains and sprains and other joint pains. Chronic tendinitis and tendinosis and osteoarthritis pain can also be treated with prolotherapy. Prolotherapy works by raising the level of growth factors at the site of injury and promoting tissue growth and repair. It can be used years after the initial injury or problem began as long as the patient is healthy. Prolotherapy is a medical procedure that many acute and chronic pain patients, as well as athletes with sports injuries, are turning to because it is used as an alternative to surgery, arthroscopy, cortisone shots, non-steroidal anti-inflammatories, and narcotic pain medications. Prolotherapy stimulates the body to repair the painful injured area(s) when the body’s natural healing process is not able to do the job on its own. In many cases, commonly prescribed anti-inflammmatory medications and more serious treatments like surgery, joint replacements, cortisone shots, and other therapies have not helped, and they sometimes hinder or even prevent the healing process. The basic mechanism of prolotherapy is simple. What most people are surprised to find out is the body heals by inflammation! In other words, we need inflammation to heal our bodies. Prolotherapy works because it actually stimulates an inflammatory reaction in the body. We inject prolotherapy solution into the affected ligaments, tendons, and or joints, which leads to local low-grade inflammation in the injected area. Many people who find themselves in pain want to get rid of the pain as soon as possible – whether their painful condition is from a back injury due to improper lifting, a work-related injury such as Carpal Tunnel Syndrome from computer use, or Plantar Fasciitis from a sports injury such as long distance running. Prolotherapy becomes a very safe, affordable option that allows the patient to keep working and/ or training during the recovery process. Prolotherapy is one of the few treatments that encourages movement after the treatment and, actually, movement aids in the healing process. The following is adapted from the words of Dr Mark Johnson MD, an excellent proltherapist in Nashville, Tennessee. He says this so well that I felt this was important to include below. "Prolotherapy is not for everyone. It is only for those people who will do whatever it takes to get permanent relief from their pain." In recent years, as advances in ‘conventional medicine’ have not provided the treatments that patients desperately need, there has been a resurgence of interest in this useful and proven therapy. This treatment is over 70 years old, and has been published in reputable medical journals since the 1930’s. The main problem at this time is that there is no formal training program where one can go to learn this procedure. There is only one way available to become a competent Prolotherapist. You must be mentored extensively by someone expert in the technique (like Dr Mahl has been mentored for years with Dr Stein) in order to become really proficient. That is why there are so few competent doctors to do it. There are weekend courses in Prolotherapy sponsored by national organizations, and as people are beginning to seek out this therapy, doctors attending these courses, then going home and trying to ‘learn on the job’. My advice to you: do not settle for less than the best. A weekend course is not equal to years of formal study and experience like that of Dr. Mahl. Prolotherapy involves localized injections of "proliferant" solution into the area where the ligament or tendon is damaged. The solution, a proliferant mixture of dextrose (Dextrose Prolotherapy), a corn extract sugar-water, which has been called an osmotic agent as it works by causing cells to lose water, leading to a good type of inflammation and stimulation of the healing response, and lidocaine or procaine (anesthetics), some vitamins especially vitamin B12 and Sarapin (a pitcher plant extract that adds to the mild irritating effect-a good kind and that also assists in relieving nerve pain), is injected at specific points where ligaments and tendons meet bones. With prolotherapy, you are tricking your body into thinking that this old or chronically painful area has just been injured and this “new” injury will now promote a far greater immune response than the original chronic injury because the injection of the irritant (proliferant) solution. Now your own immune system will send connective tissue building cells to the area to cause the proliferation of new collagen, thereby strengthening damaged loose and lax tendons and ligaments. New collagen shrinks as it matures. The shrinking collagen tightens the ligament that was injected and makes it stronger and better able to hold the bones in place. The result is to treat pain by building new tissue and stabilizing the joint. WHAT KIND OF STRUCTURES CAN BE TREATED WITH PROLOTHERAPY/ REGENERATIVE MEDICINE? Prolotherapy/ Regenerative Medicine involves the treatment of two specific kinds of tissue: tendons and ligaments. A tendon attaches a muscle to the bone and involves movement of the joint. A ligament connects two bones and is involved in the stability of the joint. A strain is defined as a stretched or injured tendon; a sprain, a stretched or injured ligament. WHAT HAPPENS TO LIGAMENTS AND TENDONS AFTER INJURY? During an injury, the collagen fibers that make up the ligaments and tendons are torn. The body heals these tears through the process of inflammation which is characterized by redness, swelling, tenderness, and stiffness in the joint. During the first days after injury, white blood cells flood the area to clean up the tear. Over the next few weeks, additional white blood cells migrate to the junction of the ligament and bone to begin building news collagen fibers. If the inflammation process is successful, the new collagen fibers wind about each other becoming shorter and tighter. This healing process can take several months. WHY DON’T INJURED TENDONS AND LIGAMENTS ALWAYS HEAL PROPERLY? Healing can be disrupted if the injury is too severe or painful, or if the inflammatory process is interrupted with medications or abnormal activity. In addition, a lack of blood supply to tendons and ligaments deprives them of nutrients needed to heal properly. Due to these interferences, the tendons/ligaments heal in an elongated and disorganized fashion leaving the ligament lax and loose and the nerves irritated. This causes restricted movement, excessive pain, and leaves the area prone to re-injury. This incomplete healing results in these normally taut, strong bands of fibrous or connective tissue becoming relaxed and weak. The relaxed and inefficient ligament or tendon then becomes the source of chronic pain and weakness and causes instability. HOW CAN LIGAMENTS AND TENDONS BE STRENGTHENED? Prolotherapy/Regenerative Medicine stimulates the body’s natural healing mechanisms to repair tendons and ligaments to their original strength without scar tissue, as which occurs in surgery. Exercise does not help tendons and ligaments heal in the same way it allows muscles to heal. Physical therapy and medications provide only temporary relief as they both do not address the root cause of the pain –only prolotherapy/regenerative medicine can strengthen the ligaments and tendons and allow the body’s natural healing powers to work. HOW PAINFUL IS PROLOTHERAPY/ REGENERATIVE MEDICINE? Prolotherapy can be uncomfortable since it requires the use of injections to get the solutions to the juncture of ligament–bone or tendon-bone, which are the areas that need the treatment. We do provide some analgesia and most patients tolerate the procedures very well, because they understand that going through a bit of discomfort in order to obtain some real positive improvement and relief of pain in the long run is worth the short-term discomfort. We do offer various skin numbing creams and anesthetics as necessary an oral or IM/IV sedation. Almost everything is performed in our office, unless a high form of conscious sedation is needed. Every person has a different healing time. That is, until pain and function have normalized and the signs of joint instability and dysfunction are no longer detected. For some people only one sessions of treatments are needed and for most people, several series of injections may be needed. Repeated treatment sessions are performed between 1 and 3 weeks depending on the healing process. Most people usually need 2-4 treatments to obtain satisfactory healing & pain relief. Some will require more treatments. WHAT ARE THE RISKS ASSOCIATED WITH PROLOTHERAPY/REGENERATIVE MEDICINE? As with any injection, there are certain risks. However the true risks are relatively minor and rare. Some of the risks are pain at the injection site, infection, temporary bruising of the nerve, dizziness, and numbness. Most of the side effects will subside over the 2 to 4 days following treatment. The benefits of prolotherapy, PRP, and stem cell therapy treatments offer a better alternative, in the long run than surgery. In our practice, we see more and more patient’s coming to us for regenerative injection treatments as a natural, nonsurgical alternative for chronic pain management rather than steroid injections and further surgeries. They understand that having this type of chronic pain management and paying out of their pocket, since medical insurance companies do not pay for prolotherapy PRP and stem cells is well worth it, as if surgery was performed, often times, the deductible is much more than the cost of multiple sessions of prolotherapy , PRP or stem cells treatments. The recuperation period is much less with prolotherapy regenerative medicine than with surgery, and prolotherapy/PRP/stem cells carry the best chance of healing the cause of pain and preserving one's own anatomy. The costs involved for your treatment will be determined after your initial consultation with Dr. Mahl so that you will have all the necessary information available to you in order to make an informed decision about the best possible treatment for your condition.